Wise refinancing is a budget makeover blessing. The decision to refinance also makes financial benefits more possible when utilized to its full potential. This is because aside from being a safe place to live or raise children, the right property mortgage offers the opportunity to build financial security, generate an income and even save money by growing food. Before re-applying for a mortgage, it is important to go over some key principles. These concepts are important because they affect the affordability, financial advantages and total cost of a mortgage. Moreover, proper understanding and weighing of the following mortgage components and their influence on buyer finances adds reason to refinancing, and makes the right refinancing choice worthwhile. When a mortgage is refinanced at a lower rate, it provides property and home owners a chance to lower their total expenditures. For instance, a mortgage refinance at a rate just 25 basis points or .25 percent lower than a mortgage loan of $125,000 with an original rate of five percent, and including home insurance and property tax, costs $6,828.43 less over a term of 30 years. When considering refinance options, take the time to determine if the total savings from the lowered interest rate exceeds the cost of resetting the amortization schedule plus refinancing fees. If they do, then refinancing a mortgage is more likely to be the right choice. Refinancing can be a good option if interest rates are considerably lower than your original interest rate, like 2% lower. Also, along with the potential benefits of refinancing such as lowering your monthly payment, securing a better interest rate or extending your loan term, there are also costs involved. It is best to shop around and compare the terms of home loan refinance from various lenders to get the best financing deal. Mortgagees benefit from accumulated equity, which is the value of a building minus outstanding mortgage owed on it. If the refinance option is applied at the right time and for right reasons, it can fetch plenty of benefits. The article has nicely pointed out the benefits offered by refinancing. The costs associated with refinancing have also been explained in a smart way. Here it is to be noted that when you have built up adequate equity in your home, it makes sense to opt for refinancing. It is said that if you have acquired equity of at least 10% in your home, then refinancing is a good option. 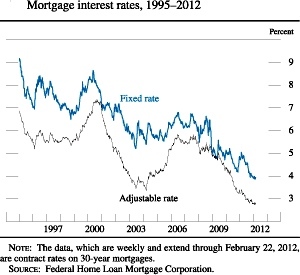 Another reason for opting for refinancing is low rate of interest. If the market mortgage rate is at least 2% less than the rate on your existing mortgage loan, then also you can go for refinancing. The knowledge on your website never confuses me.